Twenty years later, it's a Heisman Trophy class that still has no peers. It featured four first-round picks, three future Hall of Famers and one controversial decision. So as we celebrate the 20th anniversary of one of the most captivating Heisman Trophy races ever, let's revisit that season through the eyes of players -- including all four finalists themselves -- coaches and media members who were there. After turning down millions of dollars to return to school for his senior season, Manning endeared himself forever to Tennessee fans and entered the 1997 season as the prohibitive Heisman favorite. But for everything Manning accomplished at Tennessee, it's who he didn't beat, fair or not, that hounded him for much of his college career. 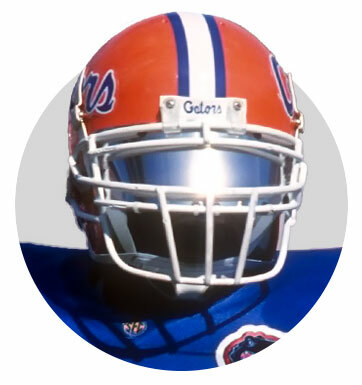 He was 0-3 against Florida as a starter, and even though he was 6-1 against Tennessee's other two big rivals (Alabama and Georgia), a 33-20 loss to the Gators -- highlighted by a Manning interception returned 89 yards for a TD by Tony George -- in September 1997 was something many of the Heisman voters held against him and opened the door for somebody else to win it. Tony George: It's the loudest I ever heard the Swamp. I've been back for games and haven't heard it close to that loud. As soon as I cut back and could see the goal line, I was thinking, "There's no way anybody is going to catch me." I can still hear the roar of that crowd. That's why I was able to kick it into anther gear. Peyton was driving them down the field, and I was tired. My adrenaline just took over. Tennessee OL Trey Teague: No doubt he would have won it had we beaten Florida. And sometimes when you're out in front that much, you've got a media that creates something to talk about, something people will pick up and read about. 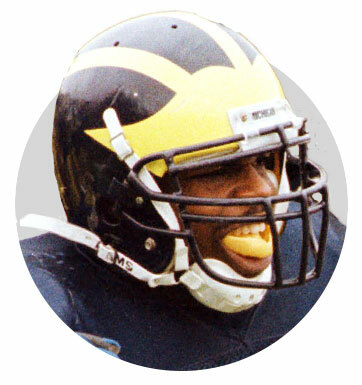 The media, in my opinion, kind of fueled Woodson's candidacy, and obviously Michigan was undefeated. So it allowed people to feel OK about that vote. If anybody looks back on it and says they still feel good about it, they're either lying to themselves or such a Michigan or Big Ten person that they have blinders on. George: Really, Peyton got screwed when he didn't beat us for those four years. It's sort of a bittersweet moment for me, picking him off and returning it for a touchdown. You're like, "Yeah, I had something to do with it and maybe he did deserve it." Florida coach Steve Spurrier: Yeah, we seemed to always beat them, and I'm sure that didn't help him any. But I don't know. Tennessee went ahead and won the SEC that year. Sometimes, those Midwest guys ... maybe they just wanted a defensive back to win the thing. I can see why all those Vols are still mad about it. 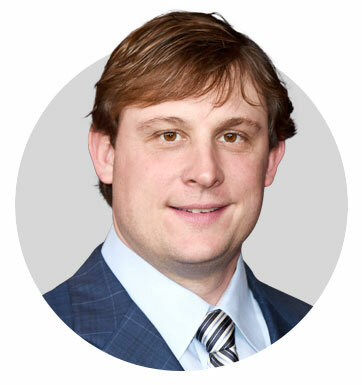 Knoxville native and Marshall QB Chad Pennington: I felt for Peyton because he had such an amazing career and accomplished everything, and just because he didn't beat Florida -- as if it's completely on his shoulders -- is unfair to hold that against him. I also think they were trying to recognize a great player in Woodson who did multiple things on both sides of the ball as well as special teams. It was a hard decision. But if Tennessee beats Florida that year, then Peyton is probably the Heisman Trophy winner. Manning: I just don't have a lot of thoughts on [if beating Florida would have given him the Heisman] or a lot of analysis on it. I've never really gone down that road before. Woodson: I had started to gain some momentum as far as people saying I was in the running and there was some buzz around me, but I think the one-handed catch against Michigan State was the moment when people finally decided I was a serious candidate for the Heisman Trophy. ABC broadcaster Keith Jackson: It seemed like every game Woodson was doing something different to help Michigan win, and it was usually in spectacular fashion, just like that interception. The game was changing, and I think people realized his brilliance and weren't afraid to do something out of the norm -- and that's voting for a defensive player. But he was more than just a defensive player. He was the most impactful player in college football, and that's why I voted for him. Manning bounced back after the Florida loss, as the Vols ripped off nine straight wins, including a 30-29 comeback victory over Auburn in the SEC title game. Manning was named MVP of the game after throwing four touchdown passes. But winning the Heisman Trophy is about big performances on big stages, and there was none bigger than when No. 4 Ohio State traveled to No. 1 Michigan on Nov. 22 to continue their epic rivalry. Woodson was spectacular in the Wolverines' 20-14 win, setting up their only offensive touchdown with a 37-yard catch in the second quarter. He scored their second touchdown on a 78-yard punt return in the second quarter. And in the third quarter, Woodson intercepted an Ohio State pass in the end zone. 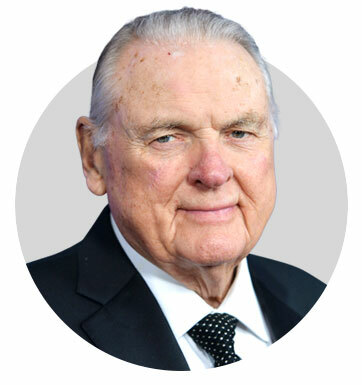 Keith Jackson said he could not recall a bigger game being played. Carr: Those are plays people don't forget. And for us, that put us in a position where we had a chance to play for the national championship. He started the season strong, but finished it even stronger. I can't imagine anybody doing more or meaning more to his team, and doing it consistently at the biggest moments the way Charles did. And I think that's why he won the Heisman Trophy that year, and obviously a lot of people agree with me. Tennessee coach Phillip Fulmer: I thought it had maybe gone from a lock to a closer race because Woodson had a big game against Ohio State and returned a kick and caught a touchdown pass. I knew it might be close, but didn't want to think so. But what do I know about that world? 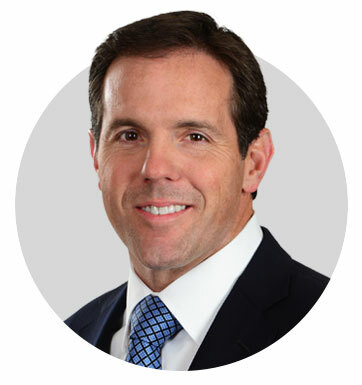 Brian Griese: After that game, I didn't have any doubt that he was the best player in the country. Peyton had the bigger name, but Charles was the better player when you look at what he meant to that national championship team and all he did in every phase of the game. While it was clear the trophy was going to come down to Woodson and Manning, the other finalists were spectacular in their own right. Moss, in his only season against FBS competition, set an FBS record with 26 touchdown catches in 1997 and caught at least one touchdown pass in every game. His touchdown catches averaged a staggering 35.3 yards. Leaf, meanwhile, threw for 3,968 yards and 34 touchdowns while leading Washington State to the Rose Bowl. But neither Moss nor Leaf ever seriously considered the Heisman Trophy realistic. 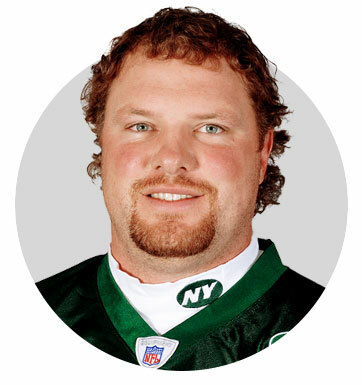 Pennington: We would just snicker because we knew how good he was and what kind of player he was and would laugh at the other teams that would not believe what they were seeing on film. Every week he was doing something to prove them wrong. I just think people couldn't wrap their minds around the fact that he was tall. He was fast. He had soft hands. He ran good routes. They couldn't wrap their brain around the fact that there really wasn't a weakness. But once they got into the game, they were proven wrong every time. Moss: I never really put the Heisman Trophy and winning it in my head because I remembered a running back by the name of [Iowa State's] Troy Davis, who had back-to-back 2,000 yard seasons, and he did not win it and he should have won it by a landslide. 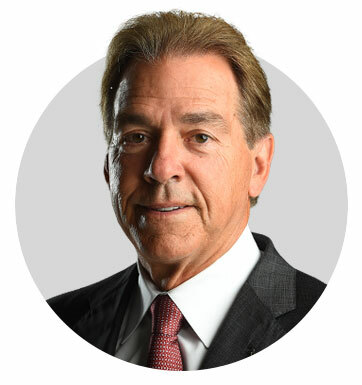 Knowing that I came from a smaller school and knowing that bigger schools such as Tennessee and such as Michigan put up more money for those guys to be [promoted] is what I had to understand, and it didn't take me long to understand. 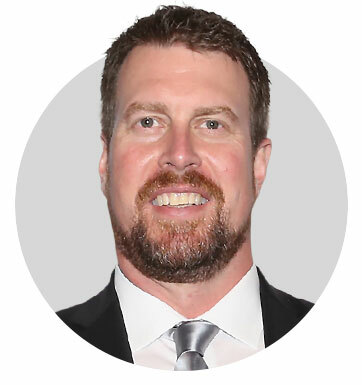 Ryan Leaf: For whatever reason, playing at Washington State, you just didn't necessarily see those guys as your peers. 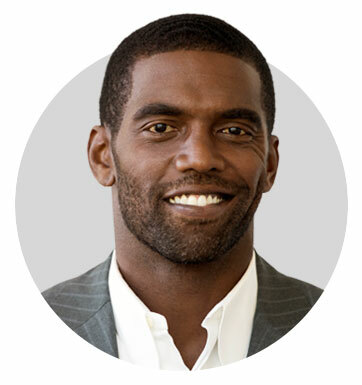 It was more that you looked up to them, so it was pretty amazing to be in a room with Randy Moss, Charles Woodson and Peyton Manning. I thought that was pretty cool. Hell, that whole year I was walking around campus rocking a Danny Wuerffel jersey, and he'd won it the year before. I knew I wasn't going to win and was there to enjoy myself and be a good representative of Washington State, which was crazy. Despite Woodson's performance against Ohio State, everyone -- including Woodson and his teammates -- thought Manning was going to win the award. Michigan S Marcus Ray: [Charles] didn't think he was going to win. He really didn't. I remember Ryan Leaf was talking all crazy and saying that Peyton had it all sewed up. Then Randy walks in and said, "None of us is going to win, so we might as well get through this ceremony, hang out tonight and tear it up in New York City." ... It was almost like the losers were getting together before the ceremony to console one another before Peyton walked in. Leaf: To this day, it's the best thing I ever got to do with the football celebrity part, to take my dad to the Heisman Trophy ceremony, and he met all his old heroes. We showed back up at the Downtown Athletic Club at 2 or 3 in the morning, and all the former winners were around the piano singing songs, and he was right in the middle of them. John Leaf was taking it all in. That was probably the fondest memory I ever had associated with football. Moss: A lot of people, their first initial response [to my sunglasses], kind of rubbed me wrong. I think a lot of people saw those glasses as if I was high on marijuana or high on some type of drug. It was actually the total opposite. I'd never been on a stage like that, never been in front of people, never been on national television without a helmet or shoulder pads on. That was my first time being in front of top-notch athletes, guys in pro leagues and guys who have Hall of Fame jackets. Me having those glasses on was a bit of nervousness, a bit of shyness. I can remember my mom asking me as we got off the elevator, "Randy, are you going to take those glasses off?" I told her, "No, mom. I'm scared." She actually grabbed my hand and shook it and gave me a hug. But I was still nervous, man. I guess it comes with being from a small town and not really going a lot of places and meeting a lot of people, and there I was in New York City at the Heisman Trophy presentation. Woodson: It's one of the greatest moments of my life. As an individual, you want to stand out. Even though it's a team sport, you want to be so good at what you do that you stand out among the rest, whether it's your team, your conference or the country. You want to be recognized as one of the best. So for me to win the Heisman, especially with quarterbacks and wide receivers the numbers they put up, it's certainly special. It ranks up there pretty high. I could never put it over a championship because championships are team-oriented. As a professional athlete or college athlete, the ultimate goal is to win it all, and I was able to do that at the college level and in the NFL. Those are my top moments, but right up under that would be the Heisman Trophy. Teague: We were well-stocked, food- and drink-wise [back at Tennessee]. It never crossed my mind, not for one second, that he wasn't going to win. We were just there to watch him get it. It was a party. When it went down, it was just a stunned silence. A few guys stood up and threw something. But, really, it was just kind of quiet. Ray: Peyton stayed around and congratulated Charles and didn't walk away like a sore loser. You could tell his feelings were hurt and could tell how much he wanted to win for the Tennessee fans. I think he felt like he let them down. He wasn't mad at Charles. He just wanted to bring it home to Tennessee. Manning: My disappointment was for the University of Tennessee. That's who I hurt for, all of the great fans and all of the great people there. Tennessee has never had a Heisman winner, but four second-place finishers-- Hank Lauricella, Johnny Majors, Heath Shuler and myself. I really wanted to win it for my school, so I was disappointed for that. Tennessee fans still refer to the Heisman as the "Heistman." Good luck convincing them that the right guy won the award in 1997. Then again, don't tell that to Michigan fans or any of Woodson's teammates, who say he was easily the best player in the country that year. Teague: The main thing I hear from people at Tennessee is that they never cared for the Heisman from that point forward because they feel like it lost some of its luster. But Peyton has never been one to complain or make an excuse or talk about something like that. 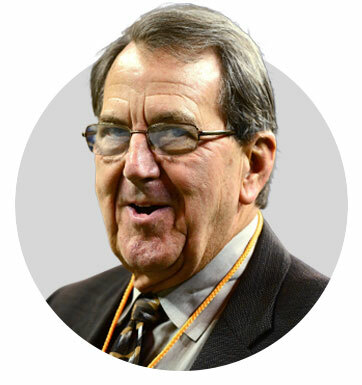 Griese: I don't understand how Tennessee fans get mad. If you watch Charles' career in the NFL, there's no way you can deny his talent and what he's gone on to do -- and he had a better year that year. I think a lot of people thought Peyton should get the award for the accumulation of his years, but it doesn't work that way. Teague: Brian still can't see through the maize and blue and be objective on that subject. [Teague and Griese were teammates on the Broncos.] Brian's a great guy, but he's blinded by that ugly helmet. 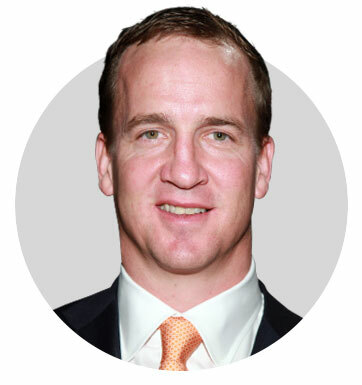 Manning: I don't have any regrets, nor do I think about it much. I understand the significance of it being 20 years later and what the players in that class went on to do. I was disappointed for my school. I can't speak for how all of the fans feel. Obviously, Tennessee has great fans, and they've always supported me. I appreciate them for that and always will. That's something I've always felt, their support. Carr: I can't run into anybody from Tennessee that at some point it doesn't come up. That's what makes college football so great. So I get the fact that Tennessee fans are still upset. People all over the country admire Peyton Manning, and as that '97 season went on, you had to really be somebody special as a player to even be in the Heisman conversation. But Charles was not only a great player, but a great leader. It was a great privilege to coach him. What he did as a defensive player in winning the Heisman Trophy took something special, especially to win it over a player the caliber of Peyton. 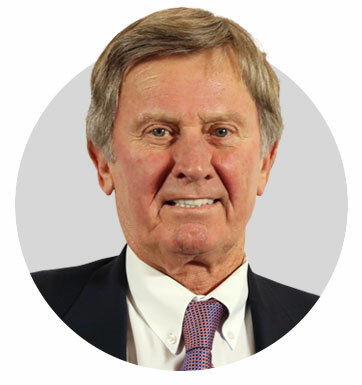 Spurrier: I was up there that night it all transpired, and of course, I voted for Peyton. We all know he should have won it. It was a shock to all of us in the South. Heck, I don't blame Tennessee people for being mad. Ray: Maybe Peyton did deserve it just as much as Charles did, but it's an award you can't share. They gave Nebraska part of our national title that year. 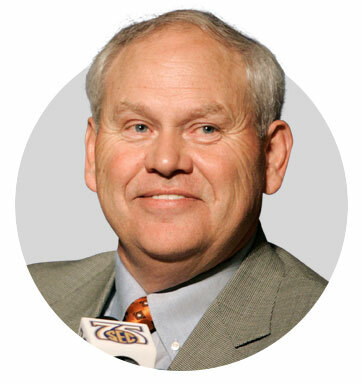 Blame Phillip Fulmer and blame the team for not being undefeated and losing to Florida all those years in a row. Don't blame Charles. If they beat Florida that year, Peyton Manning wins the Heisman. 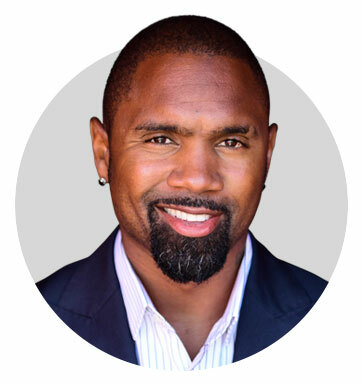 I don't care what Charles Woodson does. Teague: A lot of times, if you step back from something and give it some time, you can better evaluate it than you can at the time when you're so emotional. But I feel exactly the same way 20 years later about that whole deal as I did in '97. There was a landslide against Peyton. Some things happened. A storyline was created, and it just kind of took off. The thought process behind somebody winning it from outside the box and it being different than what had happened in the past wasn't wrong. It's just that that particular year Peyton was the best player in the country by a long shot. Fulmer: I think everybody that felt like Peyton should have won it looks at the Heisman differently, but that happens somewhere every year. That just happened to be a year that we had one of the best quarterbacks to ever play the game. I still think he was the best player and always will, and that's what I should think. Griese: Certainly most people around the college football world thought the Heisman was Peyton's to lose, but I don't think Peyton lost it, to be honest with you. He had a great year. Now, they got blown out by Nebraska [in the Orange Bowl], which was of no help to our national championship cause. I remind him of that every time I see him. But I really don't think Peyton lost it. Charles took it from him.